The Dejohn Funeral Homes is having a big impact on philanthropy both locally and nationally. Ross DeJohn III was an early adopter of the In Memory Of (IMO) Platform and is being praised as a forward thinking and innovative Funeral Director by the charities that have seen a tremendous increase in donations in their area as a result of their participation in the program. The transparency of the IMO Platform has been well received by everyone involved and has provided families with the insight into donations like never before. 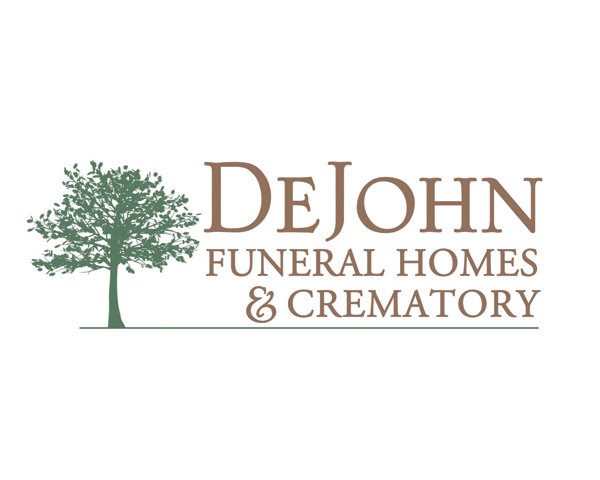 In the last quarter, Dejohn Funeral home has processed nearly 300 donations supporting 35 local charities. We have been contacted by a number of charities in the Ohio area expressing their support for the IMO Platform and encouragement for other funeral homes to follow DeJohn’s lead in philanthropy. 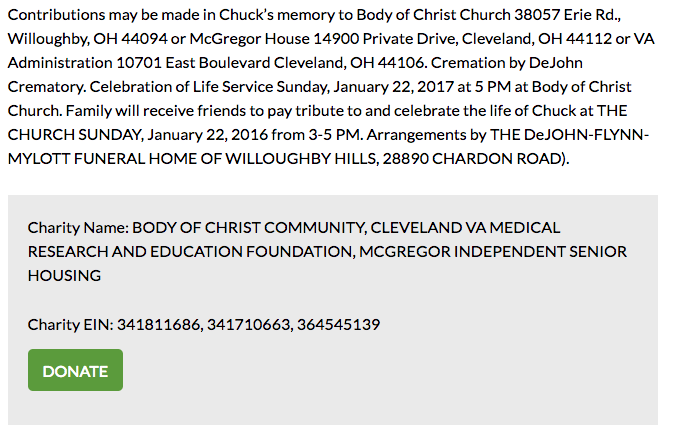 According to many of the local charities, the online donations are far exceeding the checks they normally receive from an obituary. 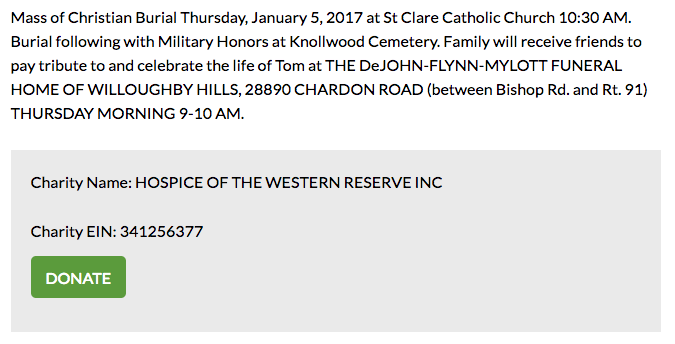 Below are examples of obituaries with donation options enabled.